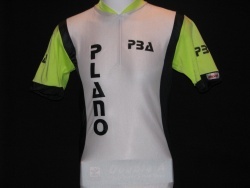 The Plano Bicycle Association (PBA) was founded in 1982 by the city of Plano's Parks and Recreation Department to provide the opportunity for citizens to participate in group rides. 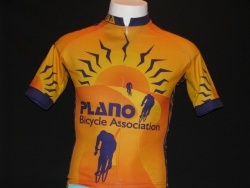 The idea was developed by Don Wendell and Jeff Lingo and in the words of Sue Paddon: "It was an obvious community interest due to the popularity of the Plano hike n bike trails. We had staff who enjoyed the longer rides and felt the club would fill a nitch in our city." The idea was to run the club until such time as it could stand on its own as an independent organization. 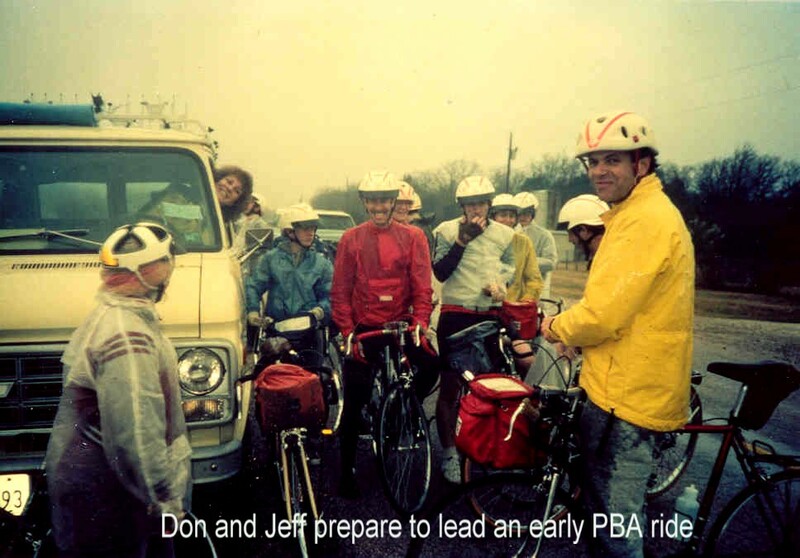 In the late 1980's the PBA was spun off from the Parks and Recreation department and incorporated under the state of Texas as a 501(c) non-profit organization. All members, past and present, are indebted to Don Wendell, Jeff Lingo, Sue Paddon and others for their instrumental work to conceive of and develop the PBA in its early years. "EVERYONE IS WELCOME! Frankly, the turn out for club rides has been poor; between 3 to 7 riders at best. 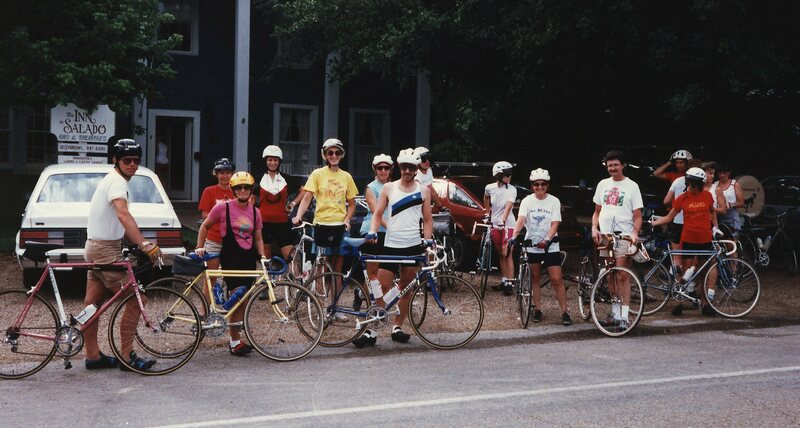 There are over 75 club members who must enjoy cycling or who want to start. 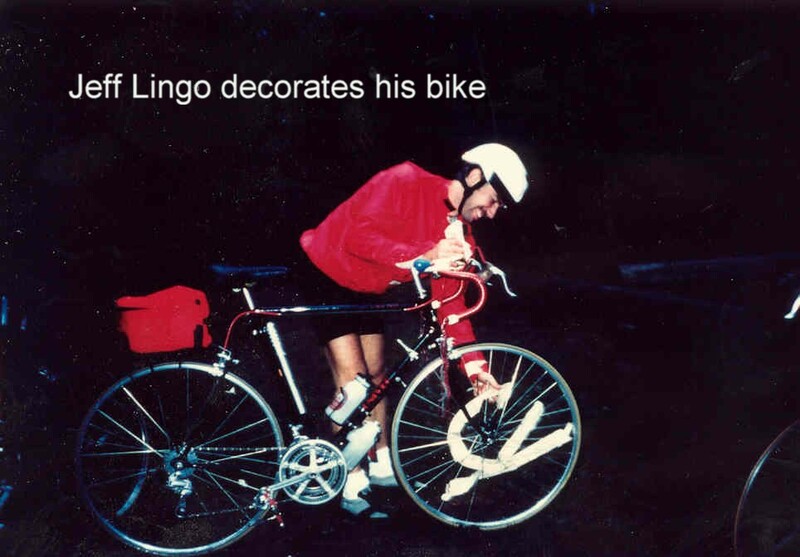 Most members are beginners with some experienced cyclists. But ALL OF US enjoy the fresh air and companionship in these sociable bike rides. It's a different route each week, maps are provided and someone usually carries tools. COME AND JOIN US AND BRING A FRIEND." Historians have uncovered evidence that the newsletter editor at this period was Susie Mumby. Other evidence (Susie's memoirs) indicate that Susie was in fact the PBA Ride Coordinator during this period of PBA history. But who was the Newsletter editor? There were regular rides that were always well received by members and guests alike. Mountain bike trail rides, road bike rides, overnight trips, you name it. A nice variety of rides were offered for all types of bike interests. One of the popular early events was the Stride and Ride Biathalon. 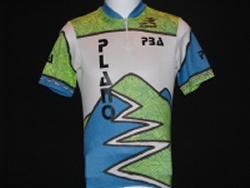 Memories include the first cycling event t-shirt, the participation of then 15-year-old Lance Armstrong with his mom and step dad cheering him on, and Sue Paddon as emcee calling all of the participants "Bi-athletes" in quite the southern drawl and getting lots of ribbing for that! It is interesting to note that it was Marc Mumby who said of Lance, "we need to watch out for this guy". How prophetic. 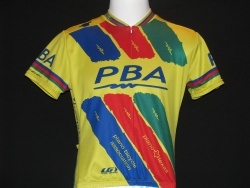 The PBA has enjoyed a rich tradition of club jerseys. 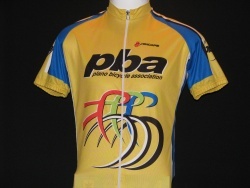 It has always been important to the club to have a distinguishing jersey as a means to identify club members and promote the PBA.Pre-dating the jerseys, club members rode wearing a PBA t-shirt. 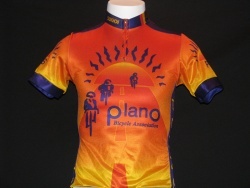 Short-sleeved, red, with the word "Plano" on the front. The "o" was enlarged and filled in with spokes to represent a bike wheel. Made the word read "plan zero." The PBA has been fortunate to have a long, continuous line of outstanding club leadership. Click on the button to see and read about all our illustrious Presidents. OAS is a ride started sometime in the early 1990's, or was it the late 1980's? It was the club's signature ride (and only ride until the Eight O'clock ride came along). But what does OAS really mean, anyway? And how did it get started? There are a lot of unanswered questions around this ride. 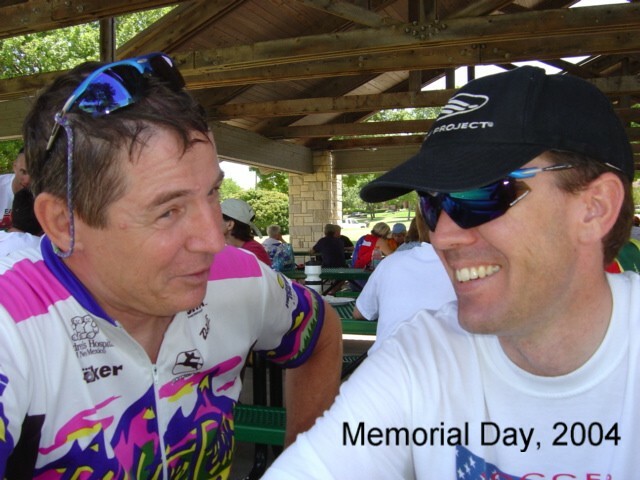 However, one fact is known: It has had a grand total of two ride leaders in its 20+ year history: Mike Boyle and Alan Hasty.